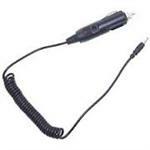 CP-46 : DC Power & Charge Cord for Alinco DJ-V5, V5T/TH radios, etc. 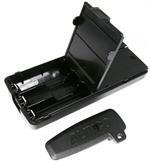 EDH-34 : ALINCO-brand Alkaline Battery Case for DJ-V17, DJ-S17, DJ-V27T, DJ-V47T, DJ-S47 radios. The EDH-34 is an ALINCO-brand 6 x AA Alkaline Battery Case. It fits such radios as DJ-V17, DJ-S17, DJ-V27T, DJ-V47T, DJ-S47 (worldwide models). Handy for instant power. Battery cells sold separately. 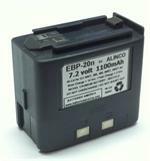 EBP-20n : 7.2v 1100mAh Ni-Cd battery for ALINCO DJ-580, DJ-582, DJ-480, DJ-280, DJ-180, etc. 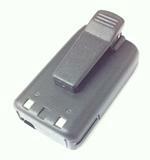 EBP-20N : 7.2 volt 1100mAh rechargeable NiCd battery for ALINCO radios such as DJ-580/T, 180, 280, 480, 582/T etc. Replaces EBP-26N, EBP-24N, EBP-20N, etc. EDH-30 : 6-cell AA battery case for ALINCO HTs. Fits DJ-195, 196, 495, 496, 596, etc. EDH-30 : ALINCO-brand Alkaline Battery Case. Fits DJ-193, DJ-195, DJ-196, DJ-493, DJ-496, DJ-596 radios, etc. Load with 6 x AA cells for instant power. 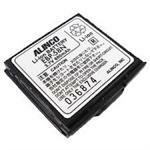 EBP-65 : ALINCO-brand 7.2v 700mAh Ni-MH battery for ALINCO DJ-V17, DJ-S17, DJ-V27T, DJ-V47T, DJ-S47 etc. EBP-65: 7.2v 700mAh NiMH battery for ALINCO DJ-V17, DJ-S17, DJ-V27T, DJ-V47T, DJ-S47 (worldwide models). Includes belt clip. EBP-16x: 7.2 volt 1800mAh long-life rechargeable battery for ALINCO DJ-F1T, DJ-F1HP, DJ-F4T radios, etc. Includes belt clip. Re-charges with Desktop Chargers (fast or slow). EBP-87: 7.4v 1500mAh Li-ION battery for ALINCO DJ-500T, DJ-500E, DJ-100, DJ-A10, DJ-A11, DJ-A40, DJ-A41, etc. This is an Alinco original OEM brand product. 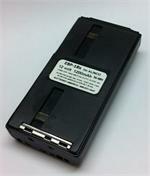 EBP-22 : 12v 700mAh Ni-Cd battery pack for ALINCO HTs. Fits DJ-180, 280, 480, 580, 582, etc. EBP-22h : 12 volt 1100mAh rechargeable Ni-Cd battery for ALINCO DJ-580, DJ-580T, DJ-582, DJ-480, DJ-280, DJ-180, etc. Replaces EBP-22N, EBP-28N, etc. Replaces EBP-22N, EBP-28N, etc. Provides Hi-Watt power. EBP-88: 7.4v 1700mAh Li-ION battery for ALINCO DJ-500T, DJ-500E, DJ-100, DJ-A10,DJ-A11, DJ-A40, DJ-A41, etc. This is an Alinco original OEM brand product. 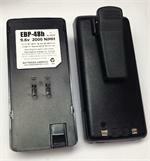 EBP-37N : 4.8 volt 700mAh rechargeable Ni-Cd battery for Alinco radios. Fits DJ-190 series, DJ-191 series, DJ-G5 series, DJ-X10, etc. 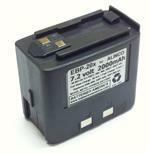 EBP-72: 7.2 volt 700mAh rechargeable NiMH battery for ALINCO DJ-175T radio. ALINCO factory brand product. Limited qty. 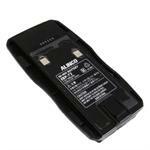 EBP-46h : 9.6v 1200mAh battery pack for ALINCO DJ-V5, etc. 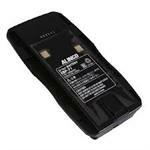 EBP-46h : 9.6 volt 1200mAh long-life rechargeable Ni-MH battery pack for ALINCO DJ-V5 and DJ-V5TH radios. EBP-50N: 9.6 volt 2000mAh long-life rechargeable Ni-MH battery for ALINCO DJ-195, 196, 446, 493, 496, 596 radios, etc. Repalces EBP-50, EBP-50N, EBP-48, EBP-48N, EBP-51N etc. Includes heavy-duty spring-loaded belt clip. The EBP-48h is a 9.6 volt 2000mAh long-life rechargeable Nickel Hydride battery pack for ALINCO DJ-195, 196, 446, 493, 496, 596 radios, etc. Includes heavy-duty spring-loaded belt clip. 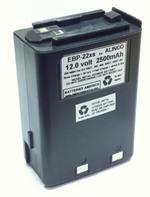 EBP-71: 7.4 volt 1200mAh rechargeable Li-ION battery for ALINCO DJ-175, DJ-175T radios. ALINCO-brand product. EBP-46xh : 9.6v 1450mAh Ni-MH Battery for ALINCO DJ-V5. The EBP-46xh is a HIGH CAPACITY 9.6volt 1450mAh Ultra-long-life Nickel Hydride rechargeable battery pack for the Alinco DJ-V5, etc. Replaces EBP-46N. INCLUDES heavy-duty belt clip (not shown). Provides Hi-Watt TX capability. EBP-36xh: 9.6 volt 1450mAh long-life rechargeable NiMH battery for ALINCO DJ-190/T/TH, 191/T/TH, G5/T/TH radios etc. Same size as original EBP-36N, but provides much longer operating time. Provides Hi-Watt operation. EBP-18x : 12volt 1200mAh rechargeable Ni-MH battery for ALINCO DJ-F1T, DJ-F4T radios (worldwide versions). EBP-73 : 7.4 volt 1200mAh rechargeable Li-ION battery for DJ-G7T radios. ALINCO brand product. Re-charges with stock OEM chargers. 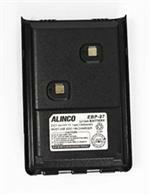 EBP-28exx : 12 volt 2550mAh rechargeable NiMH battery for ALINCO, made with Eneloop Pro 2500 cells. Arrives Pre-charged & ready to use ! Fits the DJ-580/T, DJ-582/T, DJ-480, DJ-280, DJ-180, etc. EBP-35x: 7.2 volt 1100mAh Ni-MH battery for ALINCO DJ-G5, DJ-190, DJ-191, etc. Replaces EBP-35, EBP-36, EBP-37. EBP-36 : 9.6v 800mAh Ni-MH battery for ALINCO DJ-G5, DJ-190, DJ-191 radios. The EBP-36 is a 9.6 volt 800mAh Nickel Metal Hydride rechargeable battery pack for ALINCO DJ-G5/TD/TH/TY, DJ-190/T, DJ-191/T/TD/TH radios, etc. Provides Hi-Watt TX power. Recharges with stock charger (slow), or w/ EMS-30A (fast-smart). EBP-58N : ALINCO-brand 3.7v 600mAh Li-ION battery. The EBP-58N is a 3.7 volt 600mAH Lithium ION battery pack for ALINCO radios such as DJ-C7T, DJ-C7E, DJ-C6E (worldwide versions).